Herbs cutter RB-400 | Herbas d.o.o. Designed for cutting different types of herbs in fresh (raw) or dry state. The cut length depends of technology requirements. 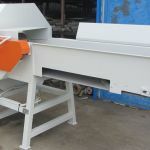 Cutter is made with dosing conveyer width of 400 mm and knife length of 400 mm. Knife in rotation cuts compressed herbal mass. 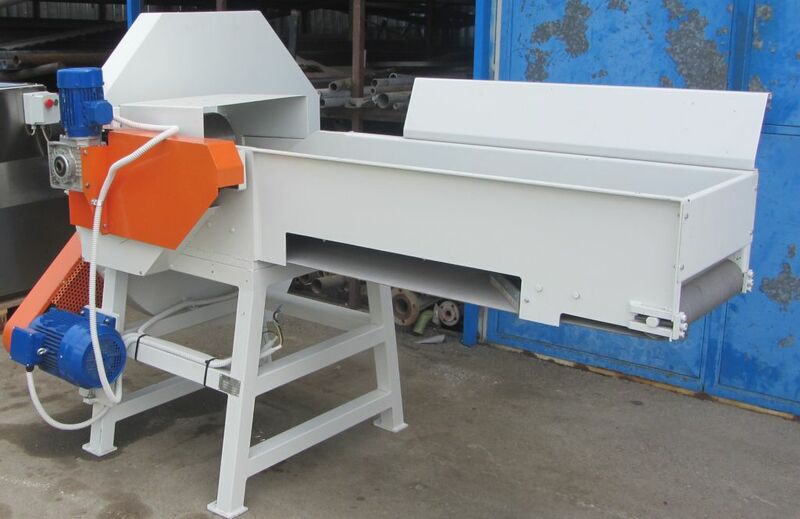 Cut length is defined by ratio between speed of dosing conveyer and rotary speed of knives. 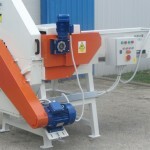 Cutter is equipped with a large hooper for work with raw green material. Maximum capacity is 5000 kg of raw green herbal mass/h. 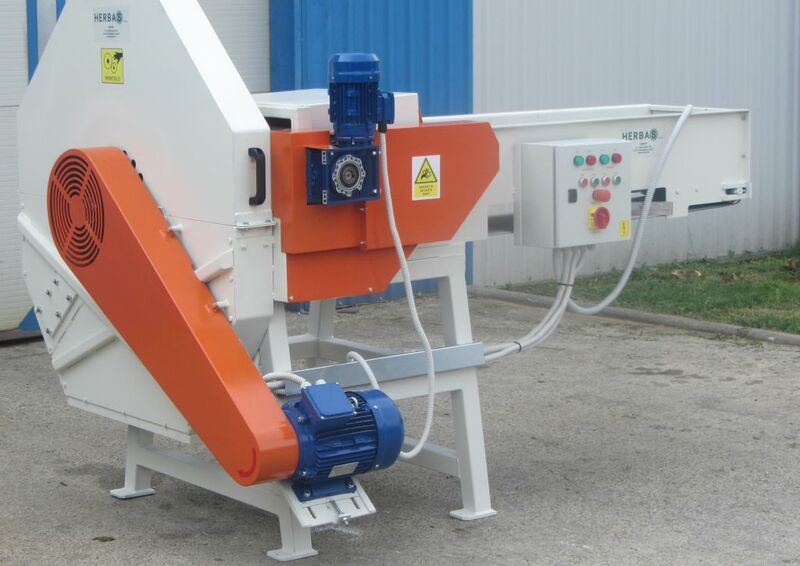 Herbs cutter RB-400 can be applied as a part in a processing line or as a standalone machine.